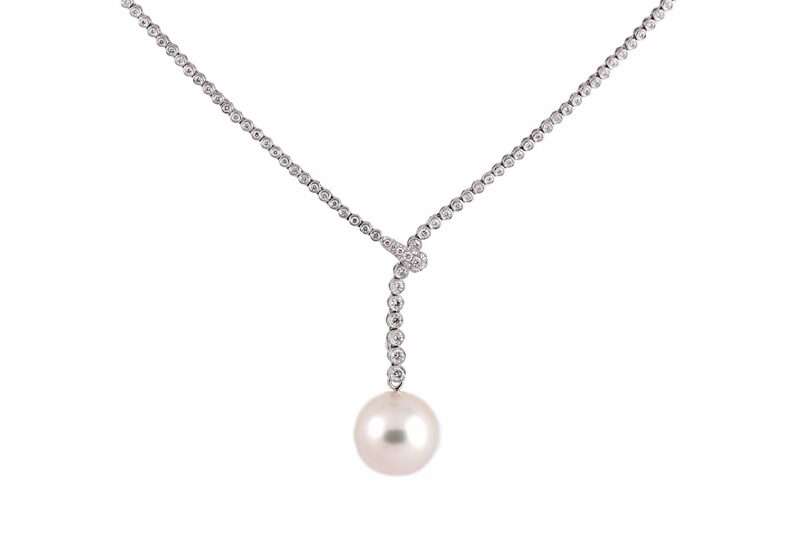 An 18k white gold South Sea pearl and diamond necklace. The necklace is bezel set with a total of 1.41ct round brilliant cut diamonds and is adjustable in length. The 15mm South Sea pearl is set with a 9k white gold fitting and is removable from the necklace. Total length of necklace is 48cm. Looking for a pair of earrings to match? We have your solution here.